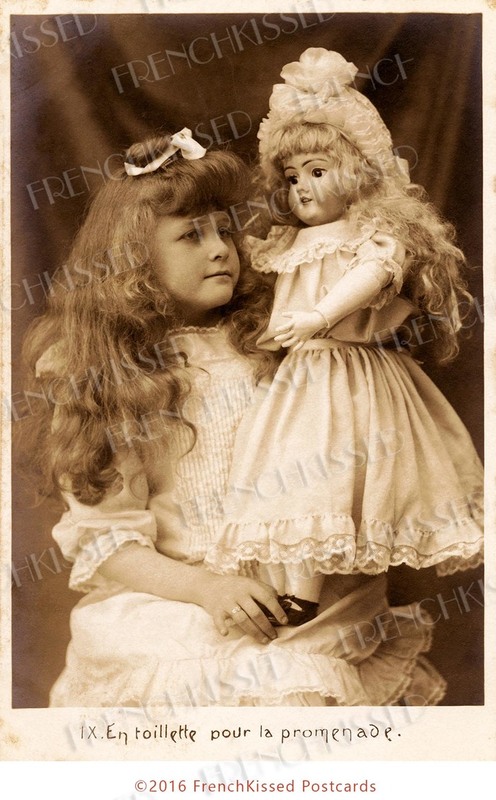 This is one in a series of antique postcards featuring a Victorian girl with her doll she received as a Christmas gift. The French text at the bottom says, "Dressed to go for a walk." I have restored this image, removing specks and spots; however, the stains and silvering in the background and on the border I have left alone since I felt they added an authentic aged quality to the image. Though very tempted to colorize this image, I've resisted and am going to leave that fun to you! 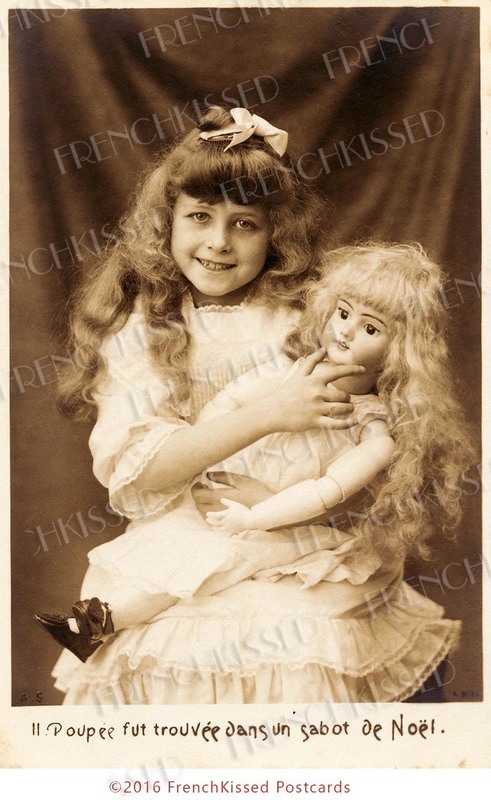 You are buying Photo No.1 : 300 dpi Personal Use Only at about 3.5 by 5.5 inches (typical antique postcard size). You'll receive an email with a link to the download. It's easy peasy! Embedded copyright. This scan is for PERSONAL use only. Use it to make art for yourself or family and friends, use in art swaps and contests. Bienvenue! My specialty is antique postcards and ephemera from France and other European countries. Please buy with confidence! I have over 5,000 positive feedbacks on Etsy. I also sell on Ruby Lane. I take pride in delivering true customer service and helping you with special requests.